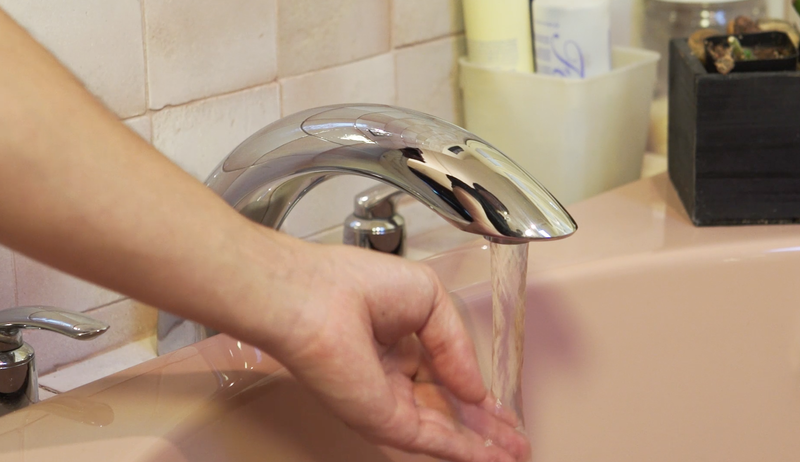 Turning on your hot water faucet and feeling the water turn from cold to hot is a part of the everyday life for most homeowners. Out of sight and out of mind, your water heater is the silent workhorse of your home’s plumbing system. Homeowners are used to heating their water with a standard tank water heater. These water heaters constantly keep a tank full of water hot, ready for you to draw from at any time. But did you know that there would be a better, more efficient way to enjoy hot water at home? Tankless water heaters, also known as on-demand water heaters, provide your home with a continuous supply of instantaneous hot water. And as the name suggests, they eliminate the need for large water tanks. Tankless water heaters are growing increasingly popular for many reasons, but the most talked about aspect of going tankless is that they never run out of hot water. The instantaneous heating process means that your hot water isn’t stored in a tank, that can run out after a particularly long shower — going tankless means your hot water is in endless supply. Because tankless water heaters provide hot water on demand, they never “run out” of hot water like tank water heaters do. That’s greater peace of mind for you and your family. Tankless water heaters are especially energy efficient because they do not have to keep a tank full of hot water hot. They eliminate the “standby energy loss” that occurs with traditional tank water heaters. If you use 41 gallons or less of hot water daily, you can expect to save 24% to 34% more energy with a tankless water heater. If you use a lot of hot water every day — say, 86 gallons — you’ll still save about 8% to 14% more energy. That means reduced energy bills and savings back in your pocket! Tankless water heaters also tend to last longer than tank water heaters — tankless water heaters have a lifespan of 20 years versus 15 years for traditional water heaters. So, while tankless water heaters do come with a higher upfront cost, they can save you money in the long run in the form of energy savings and a longer lifespan. A tankless water heater will save you an estimated $100 per year in energy costs, ($272/year for tankless, compared to $388/year for traditional tank water heaters) which over the lifetime of a tankless system means you are saving at least $2,000. With a conventional tank water heater, there runs the risk of the water storage tank flooding. Tankless water heaters eliminate this worry. Tankless water heaters are wall mounted and typically take up less space than water heaters with tanks. That means more room in that closet or corner of the basement! Now that you understand the benefits of going tankless — energy conservation and lower utility bills, to name a couple — you may be considering upgrading to a tankless water heater in your own home. Luckily for homeowners in Florida and California, there is simple financing to make your tankless dreams a reality. With PACE financing, you can receive 100% financing for your water heater upgrade with zero money down. Simply pay the cost of your upgrade back as a line item on your property tax bill and use your energy bill savings to cover that cost. See for yourself how you can enjoy the benefits of a tankless water heater (and other efficiency upgrades) with simple financing.